As the title says it, I will be finally celebrating SFD tomorrow. That’s only one month and 10 days after the official date. Since we are doing this in Shantou University we had a few scheduling issues and were trying to also coordinated with Professor Mao from Taiwan, himself SFD organizer this year. 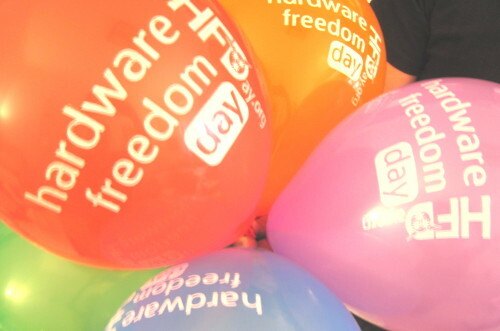 I will be presenting “Why Software Freedom matters” which I initially wrote for GNOME.Asia 2011 and then reviewed with Richard Stallman to share it with SFD teams this summer. 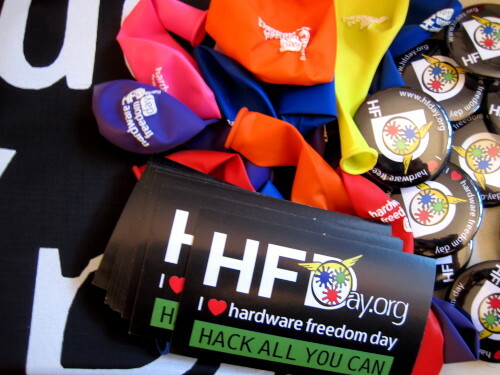 Pockey will be presenting “Why and how to contribute to Free Software”. The STU Linux Association will present as well but I am not aware of the specific topics yet. And for those who wonder what’s happening with SFD during the “low season” we still need to open the 2011 competition. Unfortunately my 3 development machines have died on me over the past month and I did struggle with Debian not installing from USB or burned CDs to be faulty (Murphy’s law you know, I really feel great about the whole thing! 🙁 ). On the bright side this will give equal time to all teams to submit their report. Last but not least the SFI Board will have a meeting early next month and should finalize a few cool things we’ve been discussing at the last meeting. So stay tuned! 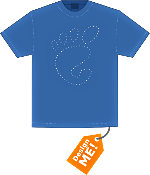 For the designers out there I’d like to mentioned that the GNOME Foundation is launching a T-shirt design competition to prepare for the launch of GNOME 3.0. So if you have a bit of designing skills and would like to see the millions of us, GNOME users, wearing your art, then give it a try. First prize also entitles you for U$100 and 2 T-shirts of your own design, though we all know no one does it for the money! Now for those of you just curious to see what the latest GNOME Shell looks like I recommend trying out compiling from the GIT repository as explained here starting around the middle of the page. It’s definitely nice to see Free Software innovating and coming up with complete new ideas and interfaces in desktop computing. Note that this is still a work in progress (code freeze should happen around February-March) and might not work so well on your machine. Tip: ‘ALT+F2 – debugexit – ENTER’ gets you out! 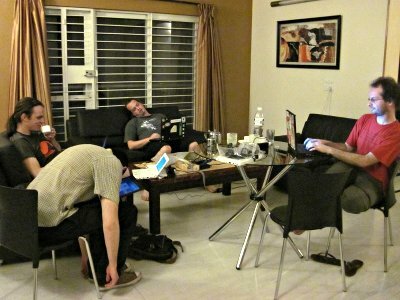 An update from the GNOME Summit where we’re reaching the third and last day of this great event. Attending the summit has definitely given me a much better idea of who are the real people behind those chopped-off heads from the GNOME Planet and who does what. I’ve been impressed and inspired by some of the people contributing to GNOME as a hobby and not because they are being employed by a company investing in GNOME. There are way too many people to name them all, but Jason from the marketing team is one of them. 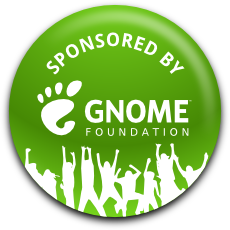 It has been also very enlightening to see how some of the people having the luck of getting paid for their work on GNOME had GNOME flowing through their veins and caring so much about things such as branding and how we should all be involved in GNOME directions as community members. 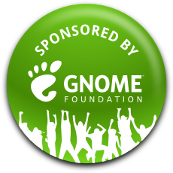 In fact the common denominator of all those people attending is the passion that fuels their interest and commitment to GNOME and all its related issues. I was also very happy to meet Xan again, who also attended the GNOME.Asia Summit in Taipei this summer, and Srini from India and many more guys (the list is way too long). 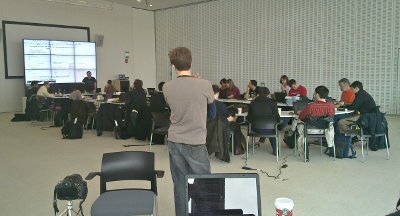 On the third day we are lucky enough to be hosted in the MIT Media Lab which is a beautiful building with a splendid view on the river. We have a huge 9 panels LCD screen for presentations and discussions, plenty of rooms and empty spaces to drill down on all the potential issues remaining before the GNOME 3 release. I’ve taken on the initiative to put up a group of sales presentations for GNOME, highlighting both the benefits and the technology of GNOME geared towards decision makers and engineers (so it’ll probably be 2 different presentations) to entice them to use GNOME on whatever project they’re doing. I’m hoping to use those more specifically for all the device manufacturers I meet regularly in South China and would definitely be excited to see products coming out with GNOME (rather than anything else). 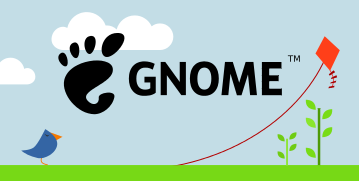 So quite a few challenges ahead and some work to do as the information related to GNOME and its technologies or applications in the real world is spread over several persons within the GNOME community. But that’ll be a great way to meet more GNOME developers and make plenty of new friends!